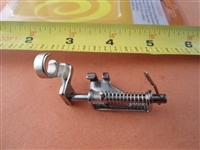 This Listing is Brand New High Quality 25 PCS PRESSER FOOT HIGH SHANK INDUSTRIAL Single Needle Sewing Machines. 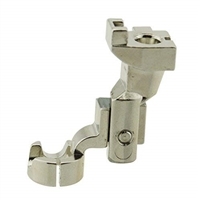 (T350) Standard Double Toe Presser Foot BUT it has a Solid Teflon Bottom, making it very slippery. It is very useful with sticky fabrics or materials. 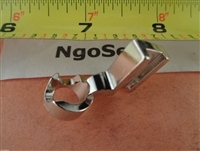 T363 Teflon Foot standard zipper foot with solid Teflon bottom. T35 Teflon Foot. it has a flat, smooth bottom sole with a single needle hole. It is also very useful with sticky fabrics or materials. 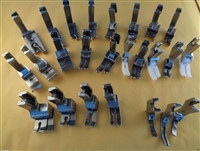 S952 Adjustable combination stitching or shirring foot. With the rear screw turned completely out, the foot sews like a regular sewing or seaming foot. As you turn the screw inward, the foot begins to shirr. Continue to turn the screw clockwise for more shirring. P50 HIGH shirring foot. 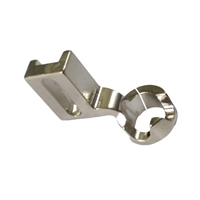 This is the most popular shirring foot with a High Step for increased shirring on light to medium fabrics. Put your finger behind the foot to prevent easy feeding for maximum shirring. 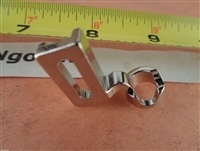 P127 wide presser foot with tail used on single needle machines for thick fabric where reverse sewing over bulky seams is required. We offer combined shipping and ship by USPS First Class.